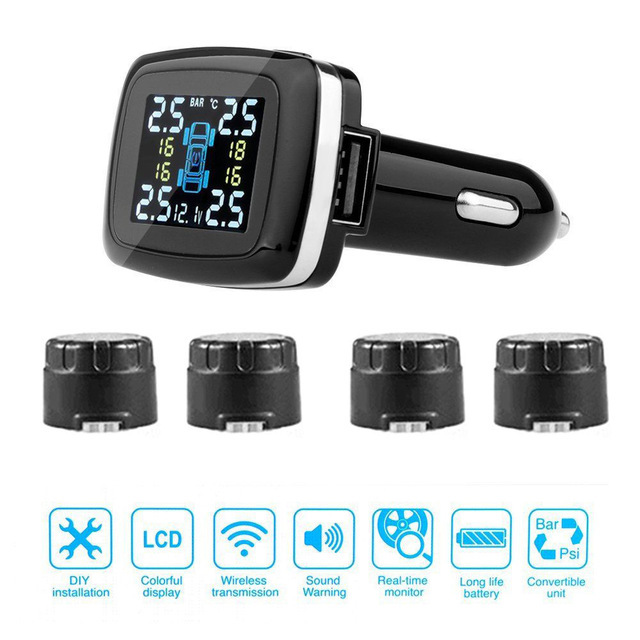 Wants to be safe while on a road in terms of tire safety then this device is best to keep you aware all the time while you are driving. 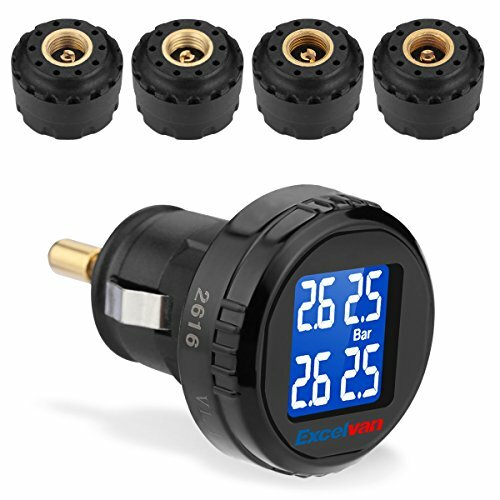 Tire Pressure Monitor System provides real time data on the device about the current PSI and the temperature of your tires. It alerts the driver in case of losing PSI and High temperature. Normally people don’t bother about the correct psi, but it does affect a lot of way, above 20% inflation in the tire can burst the tire in the long run, 30% percent less inflation can reduce tire life, and unnoticed inflation which is within 10% less can affect the fuel efficiency, affects car road grip especially in close corners at high speed, Multiple benefit can be taken by using this device. Each vehicle have designated sensors for them, therefore buy the right one for your vehicle from online or from stores. 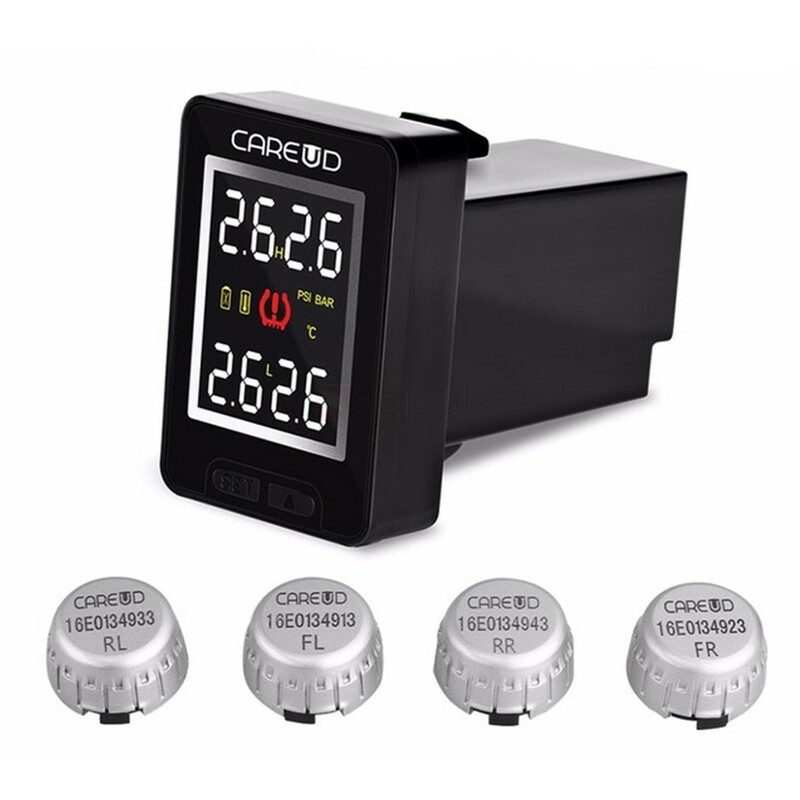 Two types of sensors available in the market External and Internal, Internal provide more accurate data where externals are easy to install and cheaper than internal sensors. If anyone wants to buy this device with having a quality features then must choose the right brand and right place to buy, however these devices available in many market around the world where you can buy, but the most reliable place to buy is from Amazon, EBay and AI Express. More than 4 sensors and different models in each product are available in the market. Here only specified only 4 sensors version of these products. 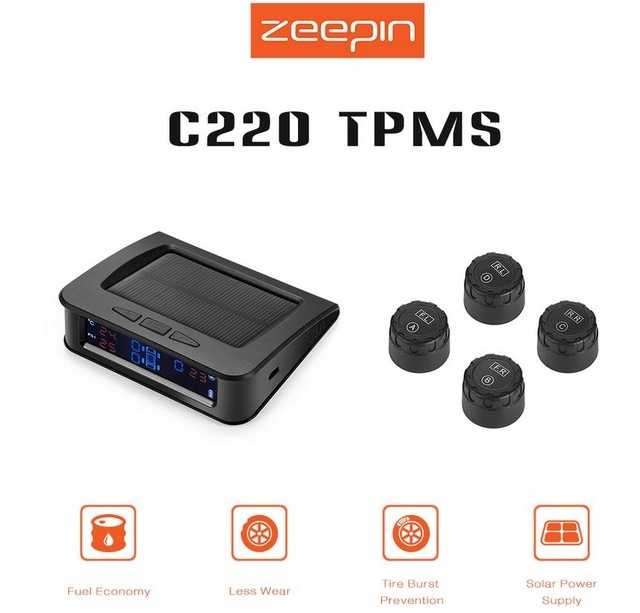 Carchet TPMS available in solar power and USB charger version, but the extra cost will have to be pay for the solar. 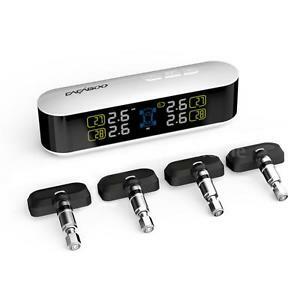 Universal sensors work with most cars except Trailers, RV, Motorhome and etc. Another product available on eBay and amazon with 4 above star rating offers only USB Charging version. External sensors also available in this product which offers less price than internal sensors. 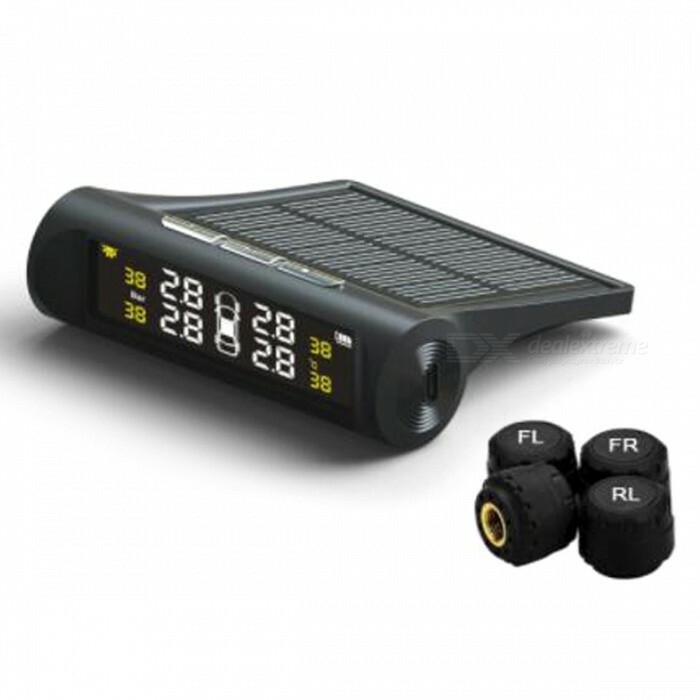 Yakora offers accurate measure of tire pressure and transmit signal up to 8m distance, available in external and internal sensors, anti-theft design, and water proof, Device stops working immediately when the tire stops. Yakora provides accurate date when the speed cross 15km/h after 5 minutes of drive. Suitable for all kinds of 4 wheel drives, if someone wants to use that with more than 4 wheels then a separator sensors will be required. Comes with 4 External Sensors and Monitor. Blueskysea available in solar powered and USB charging port, device provide date on Celsius and Fahrenheit. In addition the sensors are water proof and anti-theft design with alarm system. Sticky plastic with the monitor isn’t hold tightly. System does not display all the time with all detail together. This one is specifically for all Toyota brands, however for other 4 wheels and more than 4 wheels also available in this brand with different codes. Build-in high capacity rechargeable battery. Comes with solar and USB plug in charger, alarm system in case of theft, unusual situation, and temperature. External and internal sensors available at your choice. It works almost too all 4 wheels cars. Monitoring temperature scope -40 Deg.C – 85Deg.